With a view to provide social security to anganwadi workers in the state, the Uttarakhand state government has considered to launch group insurance scheme. 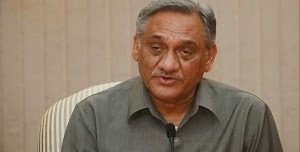 Addressing anganwadi workers at a programme in Dehradun, the Chief Minister Mr. Vijay Bahuguna said the government will also issue an order to set up a Women's Welfare Fund. The Diwali bonus given to the workers will continue and the state government would request the Centre to upgrade the anganwadi centres in the state, Mr. Bahuguna said, adding, “The welfare of the women residing in remote and hilly areas is the priority of his government." The state government has provided special assistance to women affected in the calamity last year, he added. Everyone will have to work together for the development of the state, he evoked.